Newport Beach resident Sandra Sellani is the author of an award-winning cookbook that sets out a one-year plan to embrace a vegan diet. I’ve often wondered about embracing a vegan regime. On the advice of their doctors, a few friends have made the switch to a vegan plant-based diet, a vegetarian regimen that eschews meat, eggs, dairy products, and all other animal-derived ingredients. After sitting down and eating with Newport Beach-based author Sandra Sellani, I viewed it in a more pleasurable light. 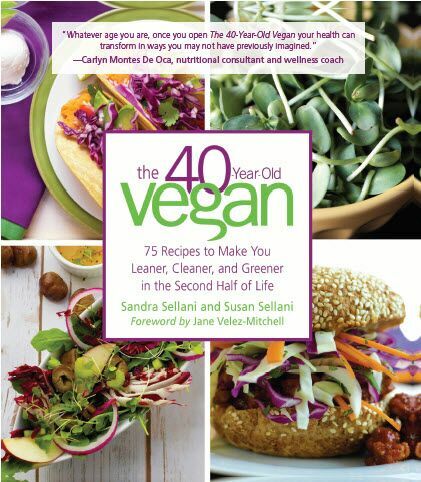 Sellani’s book, “The 40-Year-Old Vegan: 75 Recipes to Make You Leaner, Cleaner and Greener in the Second Half of Life” (Skyhorse Publishing, $24.99), helped me understand how my pals have been able to make the transition. There is a whole lot less suffering than I imagined. Sandra and Susan Sellani, co-authors of the book, are 57-year-old fraternal twins who grew up in an Italian-American family, eating delicious home-cooked dishes. The food-loving siblings live on different coasts. While they still love to eat, they’ve switched to healthier recipes now that they are past 40. Part of the challenge was that none of the cooks in their family wrote down the recipes, but Susan remembered the ingredients. 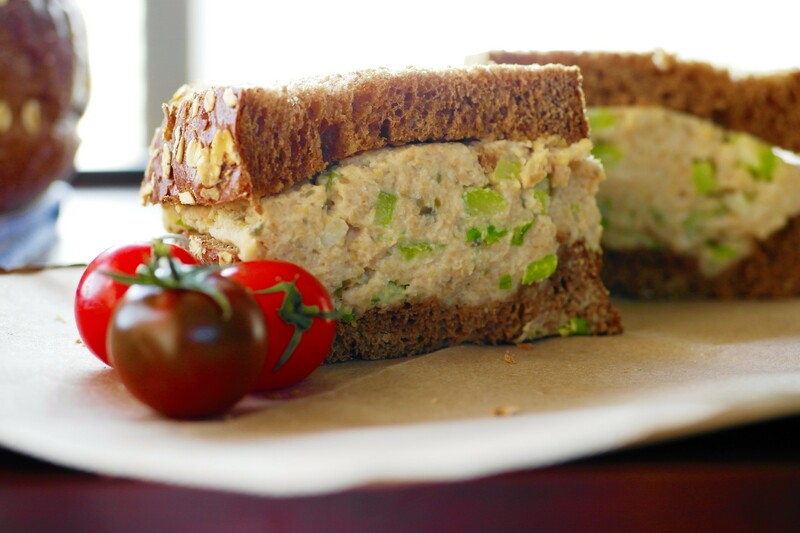 As Sandra and I chatted about the book and her transition to a vegan lifestyle, she showed me how to make a vegan-style tuna sandwich. Quick and easy to prepare, the “tuna” didn’t have Italian roots, but was a good choice because of its practicality as the centerpiece of a quick meal. She made from-scratch “mayonnaise,” blending soaked cashews, garlic, apple cider vinegar, salt, and water in her NutriBullet gizmo. It was thick and creamy. The tuna ingredients were whirled in the food processor until smooth: garbanzo beans, capers, and that vegan mayo. After stirring in some finely diced celery and seasoning with salt and pepper, she spread the concoction onto organic whole wheat bread (Dave’s Killer Bread). I was happily surprised at the brininess the capers lent to the mix; the garbanzos gave it a tuna-like texture. It was pleasing and almost tasted like the real deal. I ate it with glee. 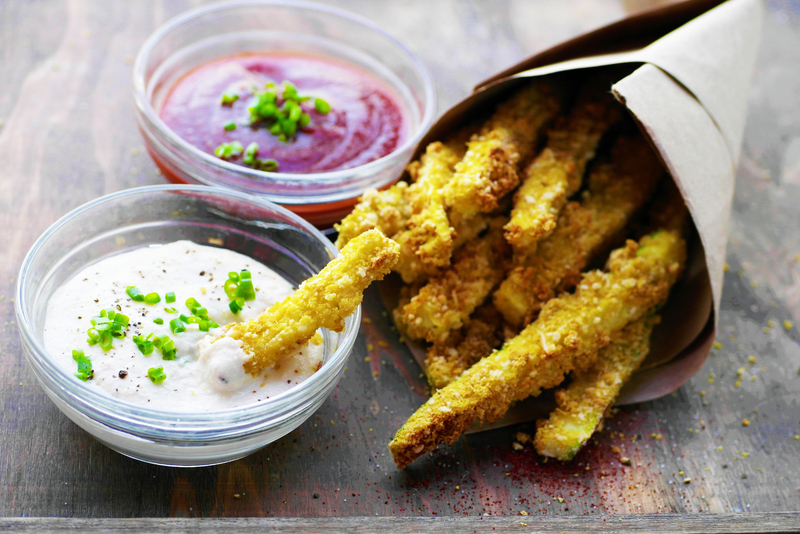 Meanwhile, she told me about how to turn zucchini into crisp fries along with her version of ranch dressing, as well as a veganized version of her Grandma Maria’s stuffed artichokes. 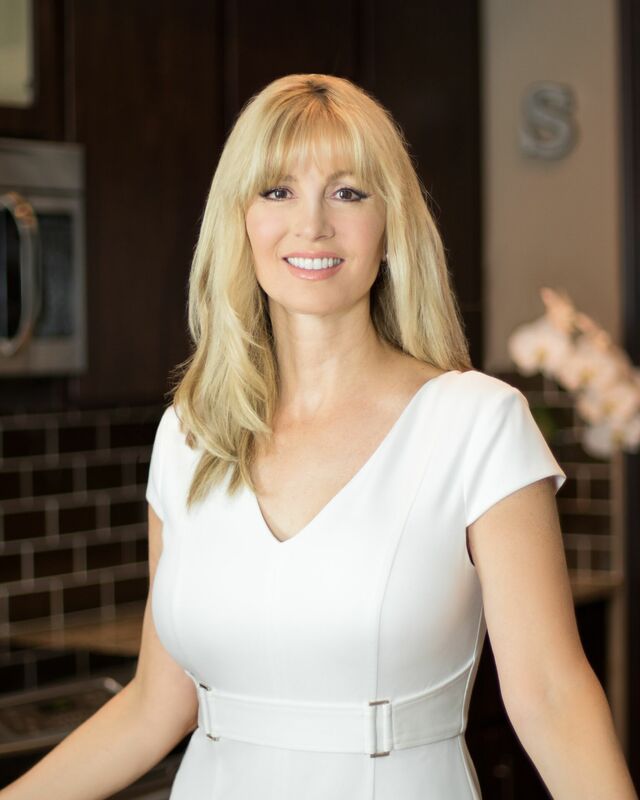 Sandra—the Chief Marketing Officer for See Jane Go, Inc., a Southern California-based ride-hail company for women—completed her culinary training at Matthew Kenney Culinary Academy in Los Angeles and holds a certification in Plant-Based Nutrition from the T. Colin Campbell Center for Nutritional Studies. Her credentials are impressive, but her expertise didn’t come overnight. She said she became a vegetarian at 25, but began in what she considers an unhealthy way, substituting cheese for meat. She started her vegan diet when training for the New York City Marathon at 50. She lost weight. Her cholesterol dropped to 160. I asked about her strategy for ordering in restaurants. She said that often she orders a big dairy-free salad. Sometimes, if it seems appropriate, she asks the chef to create something vegan. Often the chef welcomes the challenge and she ends up with something delightfully delicious. Our time together was inspirational, but I’m not ready to entirely give up cheese and the occasional lamb chop. But I’m prepared to be a happy part-time vegan. “The 40-Year-Old Vegan” includes a 52-week meal plan to help easily transition to a plant-based lifestyle with adaptations of old-fashioned, recognizable recipes. The book won a 2017 Green Book Award and an International Book Award. It’s available on amazon.com and on the Sandra Sellani’s Website. Cook’s notes: You can buy vegan mayonnaise at natural foods markets, or easily make it from scratch. To prepare it, combine 1 cup cashews (soaked in water in refrigerator at least 4 hours or overnight, drained), 1 peeled garlic clove, 2 teaspoons apple cider vinegar, 1/2 teaspoon sea salt and 1/2 cup plus 2 tablespoons water in NutriBullet or blender; whirl until smooth. Refrigerate up to 3 days. Place garbanzo beans, vegan mayonnaise and capers in food processor; process until smooth, resembling tuna. In mixing bowl, combine mixture with celery, salt and pepper; stir until thoroughly combined. Spread mixture on three slices of bread. Top with remaining bread slices.